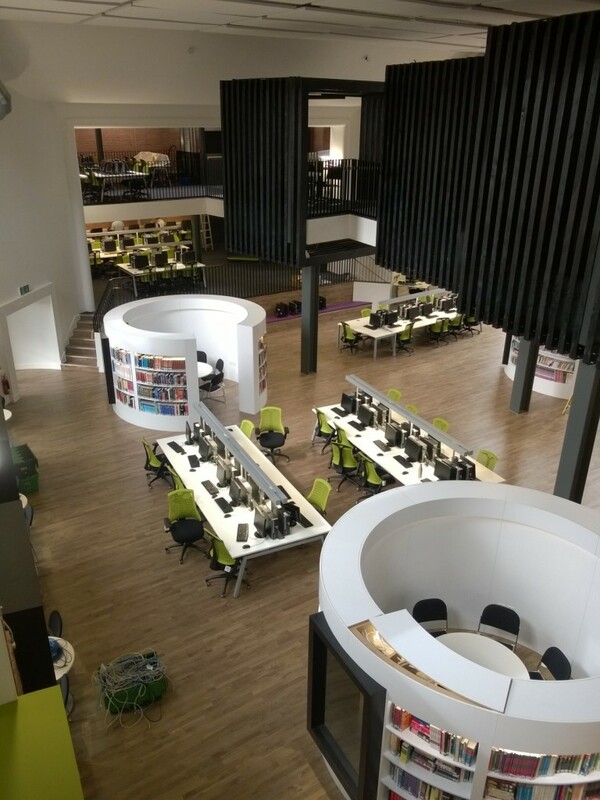 Birmingham Metropolitan College (BMET) required a number of significant changes to the buildings and external areas at the James Watt campus located in Great Barr, to the North West of Birmingham. 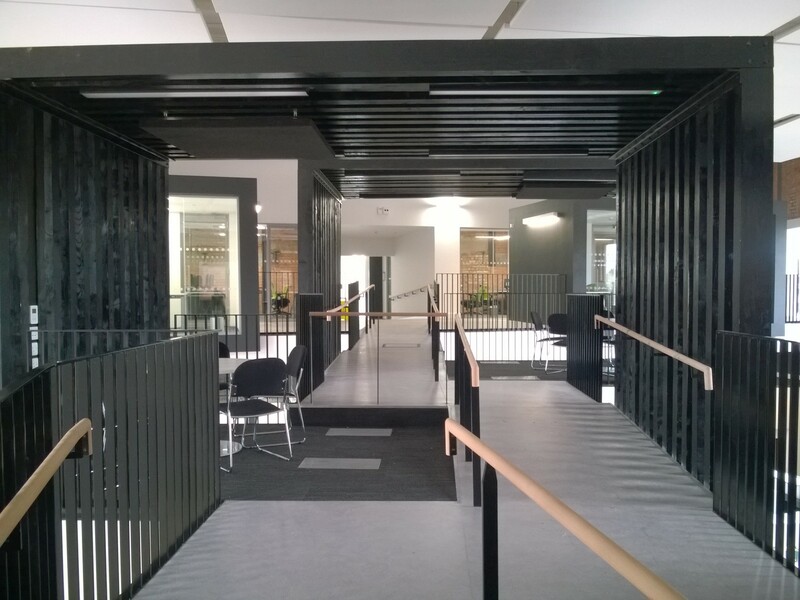 We have refurbished the ground floor entrance area to the Aldridge Building, creating an open plan, double height foyer as well as providing flexible exhibition/teaching spaces that will be used by the college and their commercial partners. A new lift provides access to all floors, and the third floor has also been refurbished. Within this building, we have created an informal social space for students and staff which accommodates ‘pods’ that were developed with artist Rob Colbourne. By installing glazing on either side of this area, two external courtyard spaces that were previously unused become visually linked. 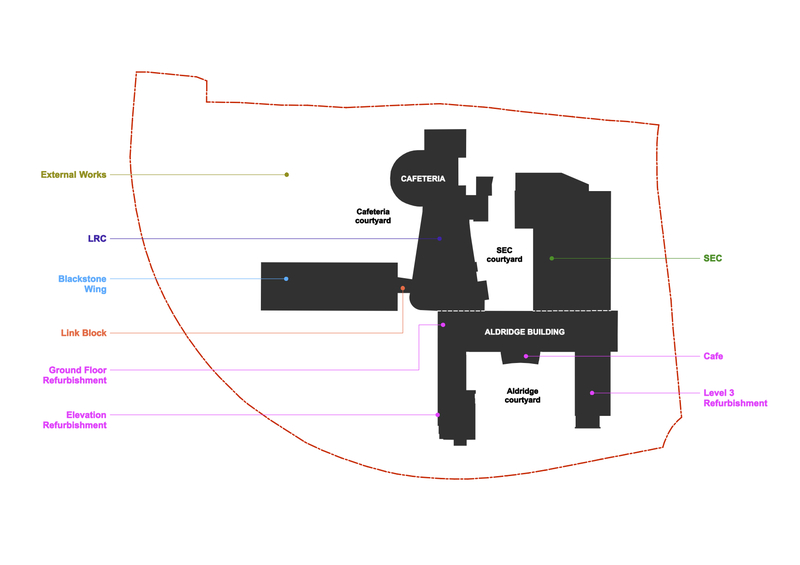 The aim of the refurbishment was to open up the entrance to other areas of the building and external courtyards so that the building users are able to better orientate themselves within the campus. The Blackstone Wing is a 1960’s teaching block which has been insulated and overclad. Windows have been replaced to improve both the energy performance and visual appearance of the existing building. At ground floor level, the original high level windows were altered to full height which provides views into the gym, dance studio and salon areas and adds to the sense of activity at ground floor level. BMET have developed a curriculum for students that focuses on the development of sustainable technologies and works alongside commercial partners. The new-build Sustainable Energy Centre (SEC) is the base for delivering this programme. 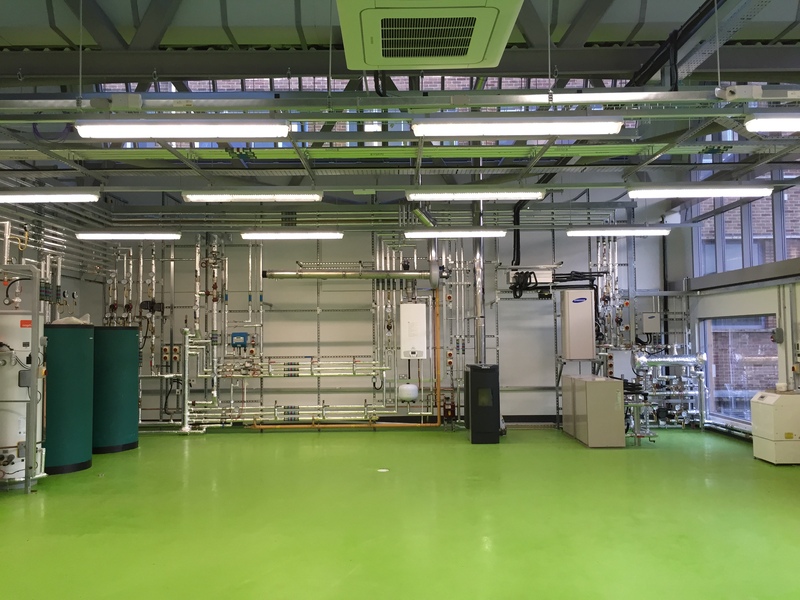 Whilst the building accommodates the latest ‘active’ sustainable technology, including biomass boilers, ground source heat pumps, solar and thermal panels, air source heat pumps, we were keen for the building to demonstrate elements of ‘passive’ sustainable design. The building was designed to utilise natural daylight, solar shading, high thermal insulation and rain water harvesting. The former campus Auditorium was occasionally used during the academic year and yet it is located at the centre of the campus. We worked with staff and students to devise a scheme which sees the auditorium transformed into a new Learning Resource Centre (LRC). This main hub for the campus will incorporate a variety of teaching and meeting spaces as well as informal areas for students and staff to meet, learn and socialise. The LRC links both the SEC Courtyard and Cafeteria Courtyard spaces.